Dr. Gerbode is an Honors graduate of Stanford University who also pursued graduate studies in philosophy at Cambridge University in England. He received his medical degree from Yale University, and completed a psychiatric residency at Stanford University Medical Center in the early 1970s. 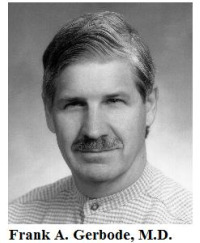 Gerbode is the author of numerous papers and articles, which have been published in the Journal of Neurochemistry, the International Journal of Neuropharmacology, the Journal of Rational Emotive and Cognitive Behavioral Therapy, The Family Therapy Networker, and elsewhere. He has taught and lectured internationally and is the author of the book Beyond Psychology: An Introduction to Metapsychology, published in 1988, in its Fourth Edition (2013). In 1986 he founded the Institute for Research in Metapsychology (now Applied Metapsychology International (AMI)). He is currently retired, but still serves on the Board of Directors of AMI, as well as several of the organization’s committees including the Development and Editing Committee. In addition to Breuer and Freud, Gerbode credits Carl Rogers’ “client-centered” approach to therapy, and the gradient repetitive procedures of “desensitization” developed from the behavior therapy of Joseph Wolpe, as instrumental in his formulation of Applied Metapsychological techniques. 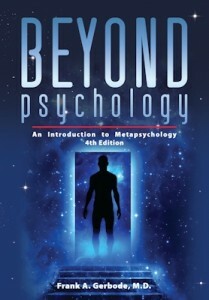 Various alternative techniques, including Gestalt Therapy, Cognitive Therapy, and Rational Emotive Therapy contributed materially to the subject of Applied Metapsychology. Dr. Gerbode was also strongly influenced by the ideas of the Hungarian psychiatrist Thomas Szasz, who objected to the labeling of people as “mentally ill” simply because they were undergoing cognitive or emotional disturbances. for this same reason, Applied Metapsychology rejects the traditional forms of diagnosis and the “healer/patient” medical model, choosing to call the application of its methods and techniques viewing rather than “therapy”. In addition to removing any stigma from the practice of viewing, this non-evaluative, non-judgmental approach to mental exploration returns appropriate dignity to the one who is doing the real work — the viewer.